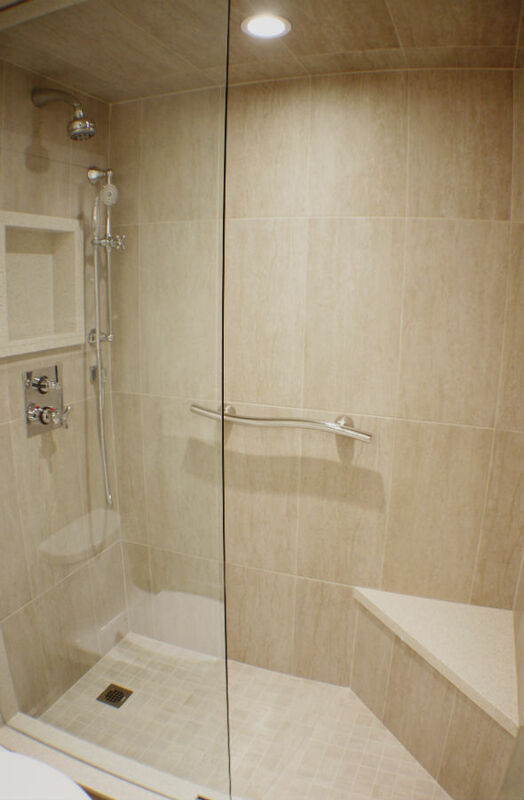 This recently completely bathroom renovation included a new glass shower with a wall mounted multi-function hand shower, stunning shampoo niche custom made out of quartz, diagonal quartz seating corner. The shower has porcelain 24 x 12 tiles running vertical up the shower walls. The shower contains LED potlights as well. Hope you like it.